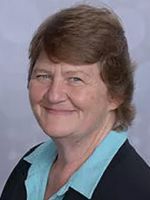 Info Susan Sindt is running for the U.S. Representative seat in congressional district four (CD4). This includes Saint Paul and the surrounding communities (all of Ramsey county and most of Washington county). Ms. Sindt of Maplewood, a former Harding High School science teacher, owns and operates a small, family tobacco vaping business.